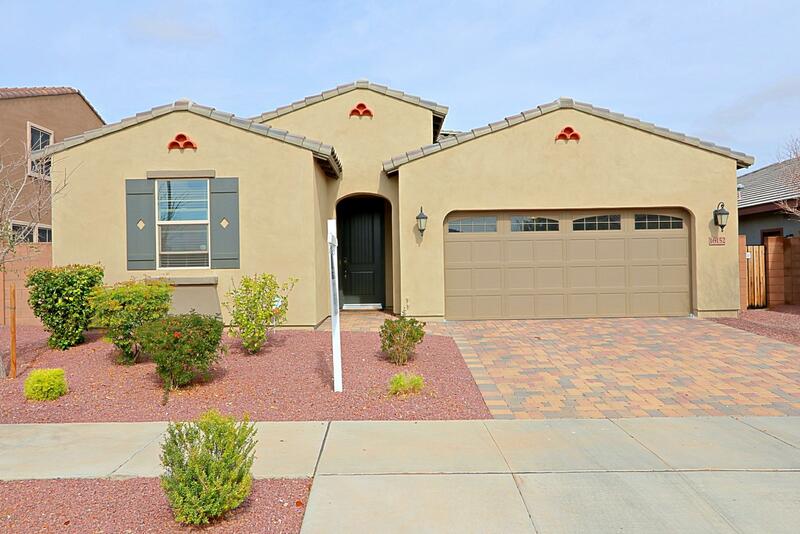 GORGEOUS Shea home with extensive upgrades on a premium lot that backs to a common area. This home looks like a model home the minute you walk in the door with wainscoting in the entry, upgraded tile and carpet throughout. Beautiful gourmet kitchen with an over sized center island, Upgraded staggered cabinets with crown molding, pull out shelves, self closing drawers, stainless steel appliances and granite counters. Living Room with in the ceiling speakers for surround sound for those movie nights with the family. Large den/office with dual entry doors. Spacious Master Suite with Decorative Barn Door giving you privacy from the Master Bath which has an over sized walk-in shower with dual shower heads including a rain shower head, dual vanities and walk-in closet.